Wow, these look awesome! Wish I could afford the Next level. Hope I can get an Inspire! I need both. The chaser has become a staple in my daily throwing. 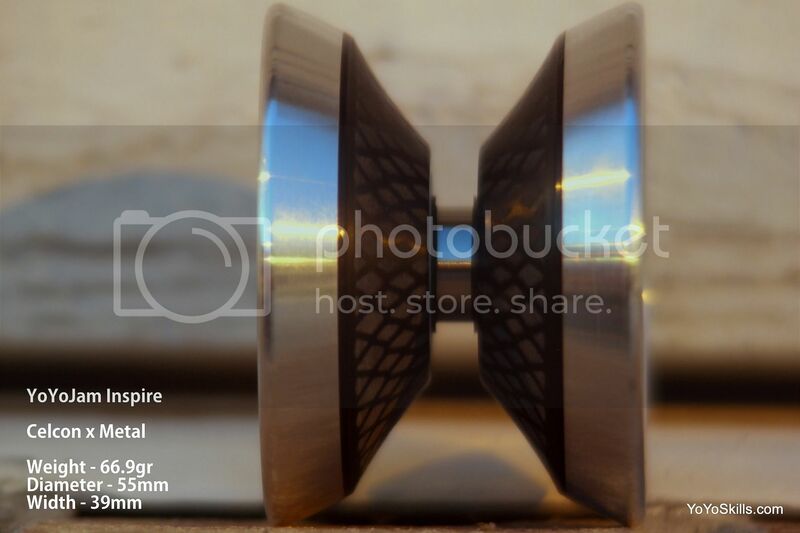 Metal and bi-material chaser-esque style yoyos would make my other throws obsolete. Both of these will be available at the YYJ table at BAC. JD – Thank You Matt! 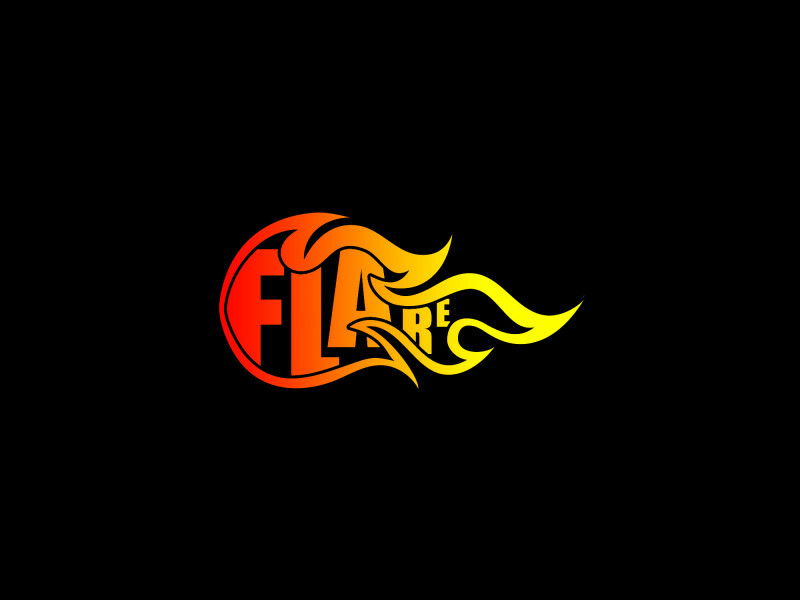 Really appreciate the nice words on the design :). Andre’s review was dead on. The yoyos are two completely different throws its honestly hard to compare them in play at all. 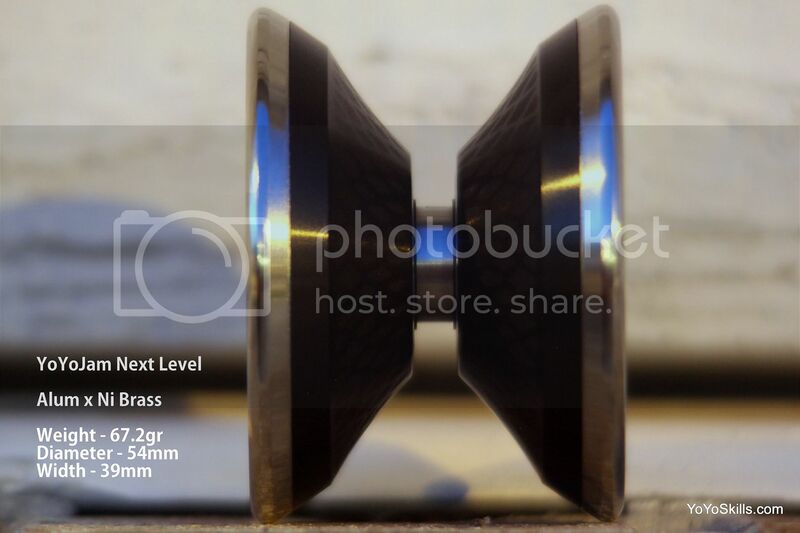 The Next Level is extremely stable and with a more angular shape giving it a real gyroscopic feel thanks to the heavier rim weighted bronze rings. The Inspire is more of a competition feeling floaty, fast, stable feel thanks to the wider aluminum rings and celcon body. The finish is really the only thing that they share in common. These throws both look awesome. I like the new cap work, especially on the inspire. It keeps that YYJ flavour but loses some of the toy-likeness that the caps can have. Nice work to everyone involved in the process. Can you describe the difference in play between the two? Bummer, sounds like we got a wait on the Inspire. John might be a bit ahead of himself. We may have a small quantity of a pre-release run available at MWR, but an official release date has not been set yet. 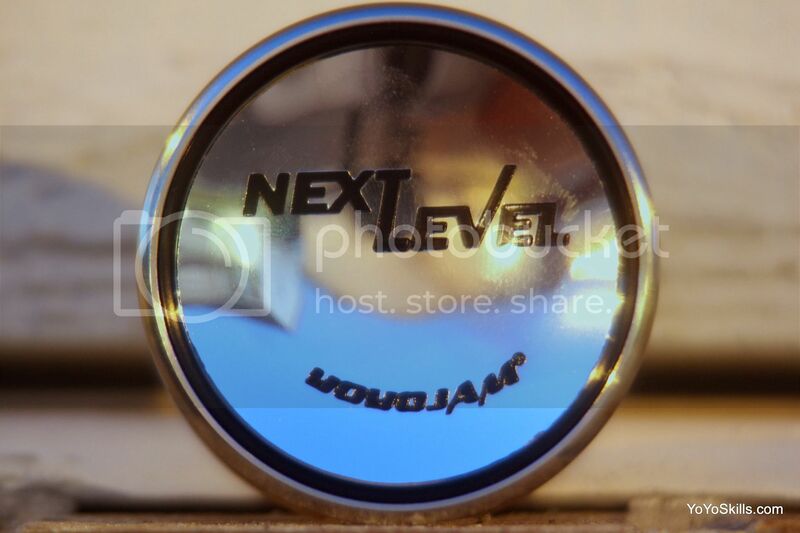 Next Level is now shipping to your favorite YYJ retailer — the official release has been set for a May 31. I will agree with JD on this one. 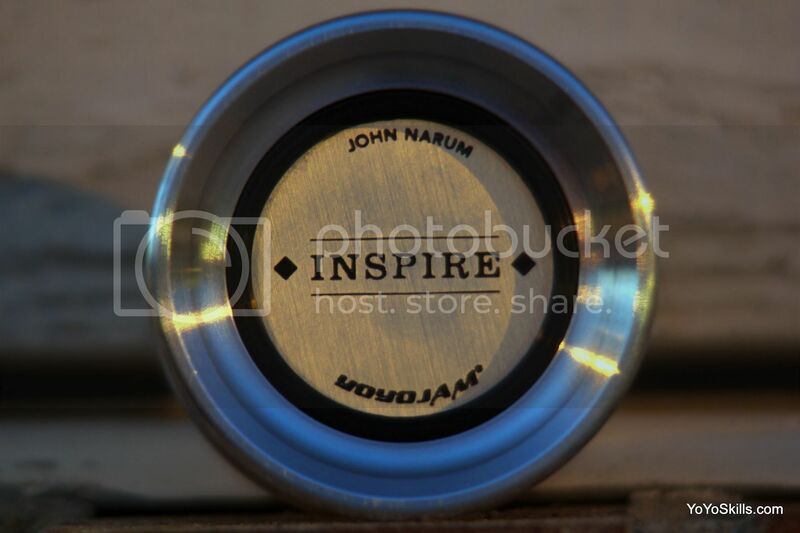 The goal in the design of Inspire’s pogs were, the less, the more the statement. 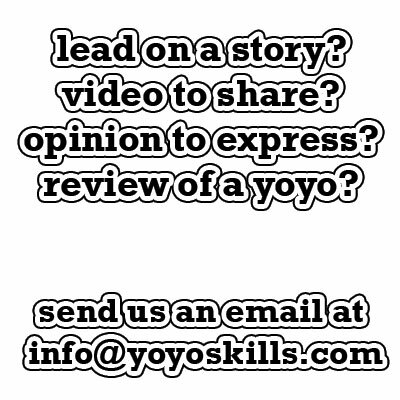 The main focus is obviously the play/structure of the yo-yo that demonstrates the overall new direction of YoyoJam. Release date is hopefully within a few weeks. Anyone know of an approximate release date? 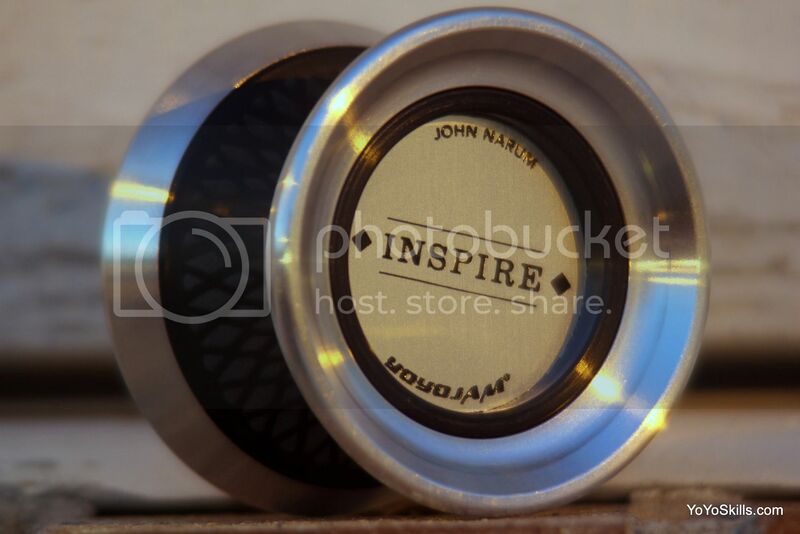 The inspire looks good. 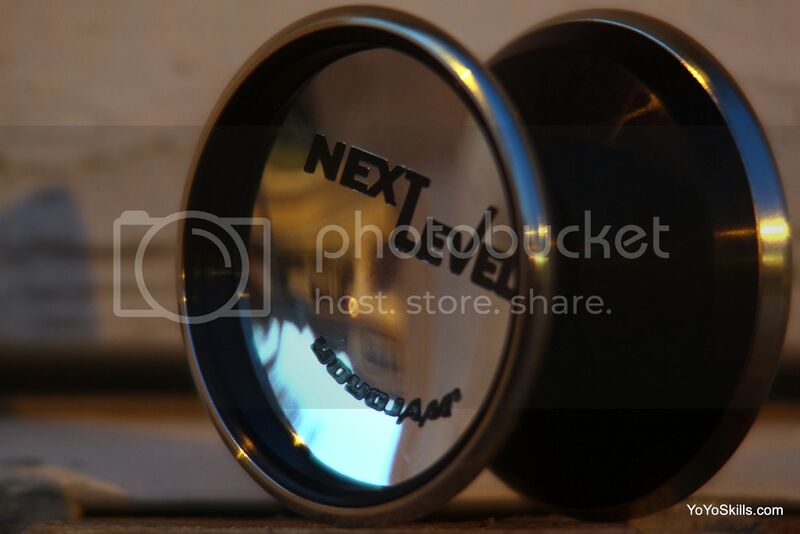 As for Mr Next Level, all I’m gonna say about the pogs are that, there’s a difference between being plain, and minimalistic. Our cap designs are moving towards a more understated sophisticated approach, which is becoming the trend in most design as of late. The Inspire is correct in its presentation but the Next Level text should actually be vertically centered instead of more towards the top which creates an unbalanced look. You may see it as slightly boring but that is my design goal. both look super dope, yyj’s lookin goood. I think the pogs might have looked better if they were black with silver words, but I haven’t actually seen it in person. I’m really interested in the Inspire, the specs look great. I hope they hit a good price point like $50ish. Well, those must be the least inspired pogs I’ve ever seen.